Lenovo is the world's largest personal computer vendor—but they weren't getting the brand recognition they deserve. In a market dominated by a manufacturer that has a one size fits all approach to technology, Lenovo offers a truly custom experience. Lenovo takes the shape of your life. "Designed by us. Defined by you." Lenovo products become whatever you need them to be. We wanted to bring a campaign about real life into real life. Life size Lenovo Yoga screens were set up in parks and public gathering places and used to create dynamic events such as yoga classes and Lenovo Movie Nights. #HelloNOVO videos show people defining the boundaries of their Lenovo as they take their tech with them on amazing journeys. 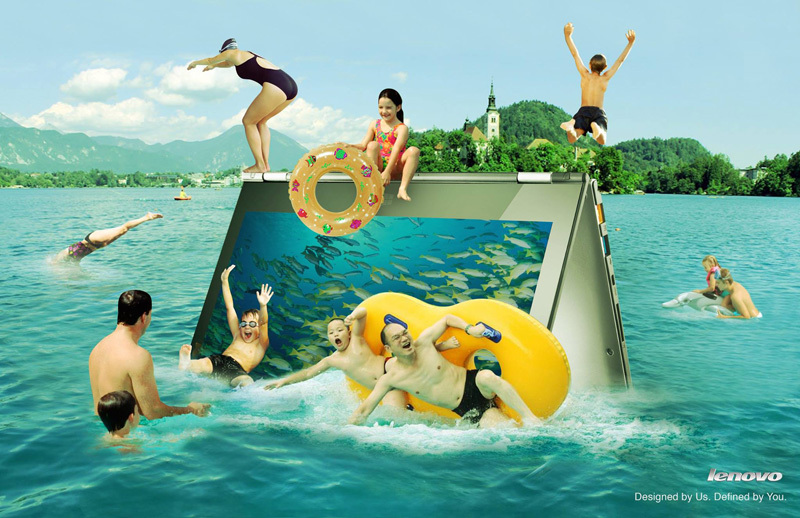 "Oh the places you will go, with Lenovo!"